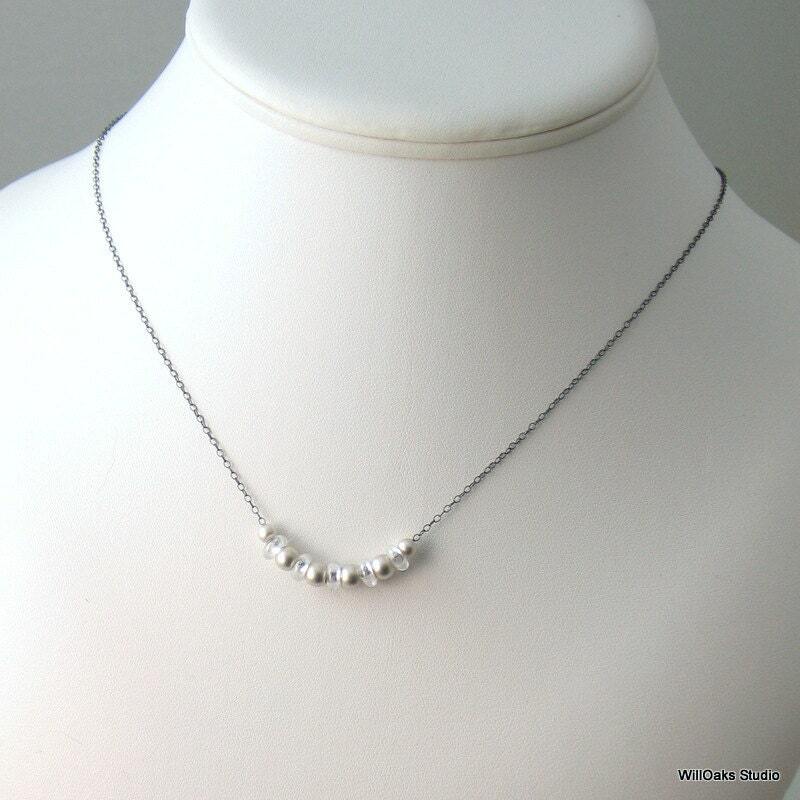 Light, luminous and precious, an unique mix of clear cubic zirconia mixed with satin finished sterling beads creates a cluster on a dark fine silver chain. Totally original take on an April birthstone! 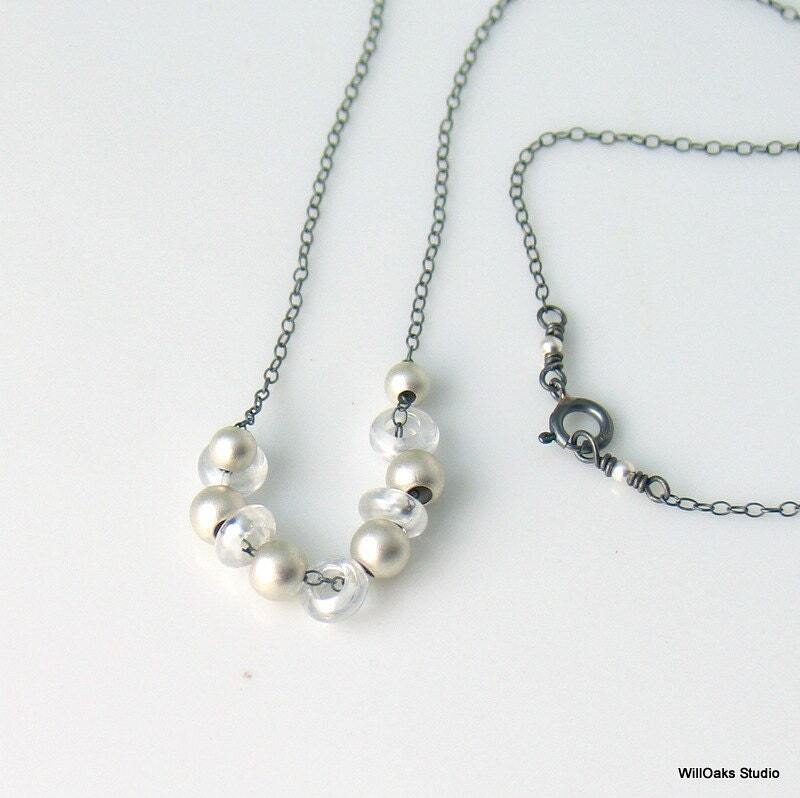 In this artisan original design, the bead group slides along the chain which closes with an oxidized spring clasp, bracketed by tiny satin finish silver beads. 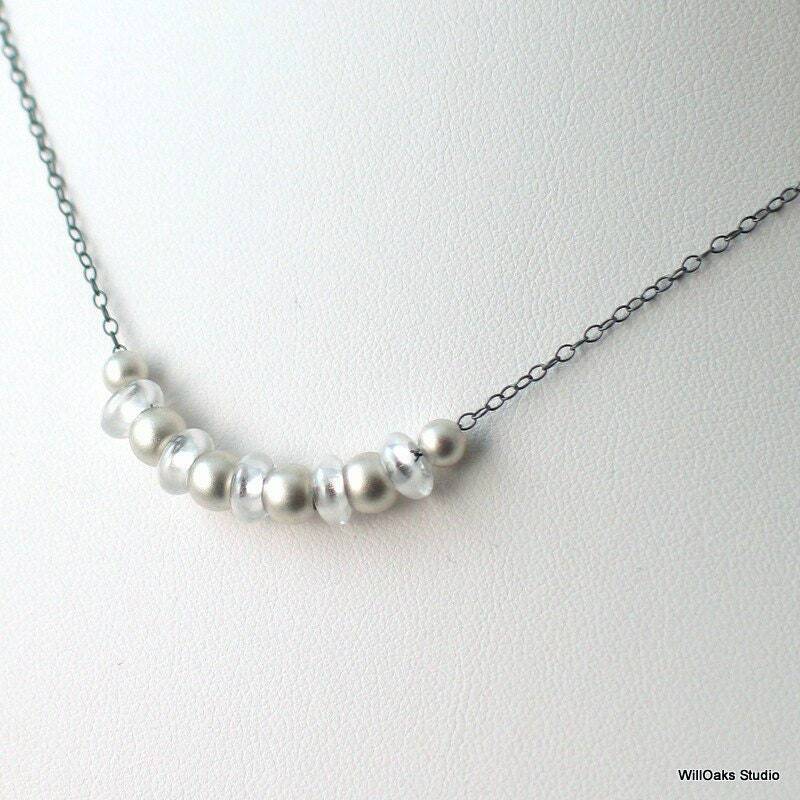 The contrast of dark silver silver chain with the light, bright mix of precious beads is so fresh and unique. 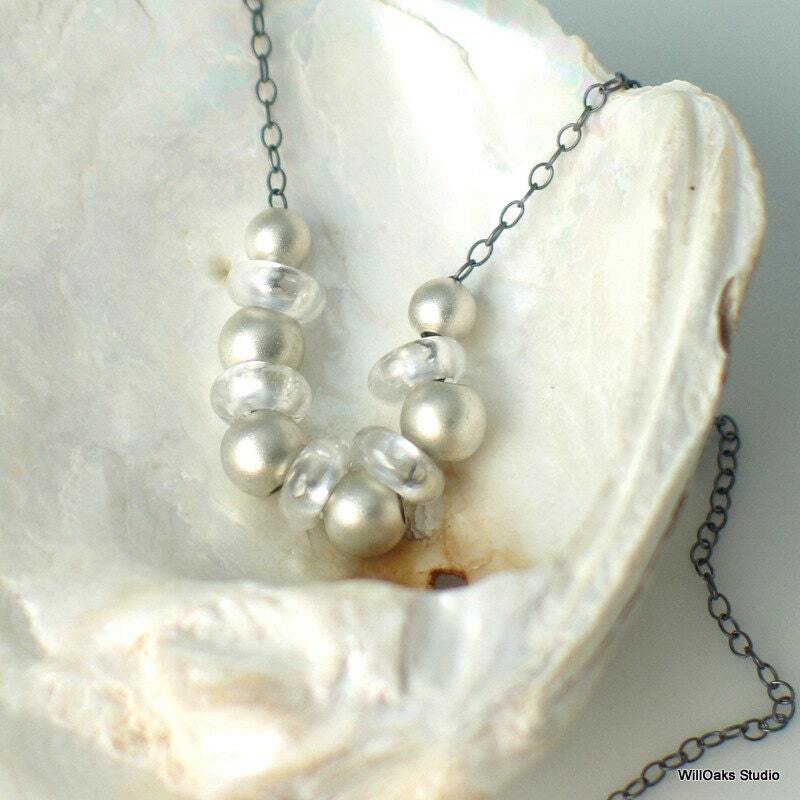 I found these unusual cubic zirconia beads to be so intriguing and was inspired to pair them with larger sterling beads with a luminous satin finish. The 5 cubic zirconia are each about 6 mm diameter each, the satin sterling beads are 5 mm and 4 mm, and they alternate for a total beaded length of about 1 1/2" (36 mm) on a chain that you select as your preferred length. 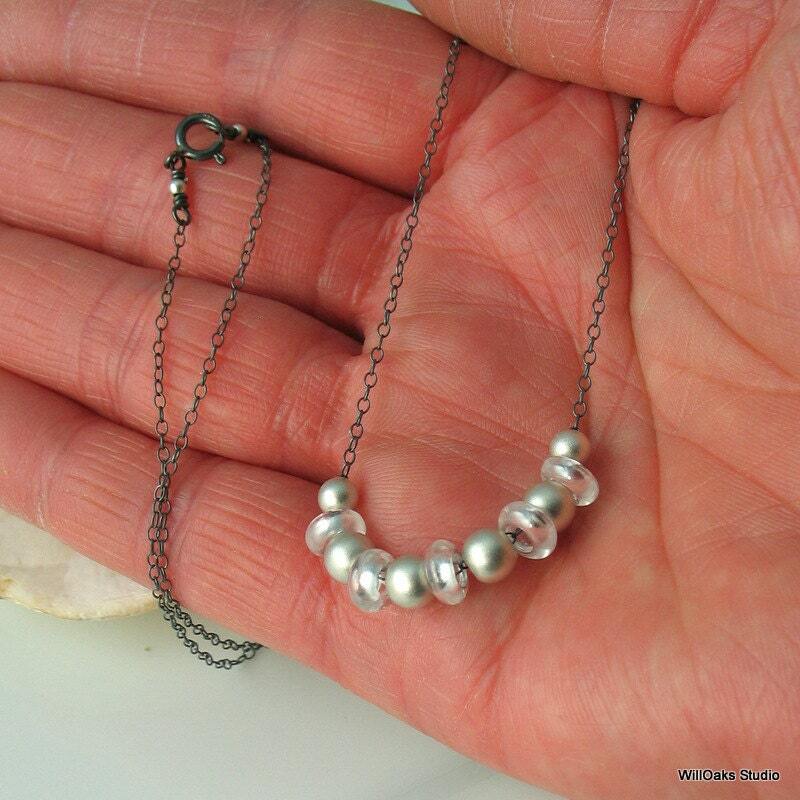 Lightweight, easy to wear and to layer with other beaded and pendant chains. A lovely, precious accessory to add to business wear, formal dress and casual apparel. Very limited edition. Presented in my signature box, all ready to give.